Torq-Set is a cruciform screw drive used in torque-sensitive applications. The Torq-Set head is similar in appearance to a Phillips drive in that it has a cross with 4 arms. In Torq-Set screw heads the arms of the cross are offset from each other, so they do not align to form intersecting slots across the top of the head. Because of this, a regular Phillips or flat-head screwdriver will not fit the head. The Torq-Set screw drive is commonly used in aerospace applications. 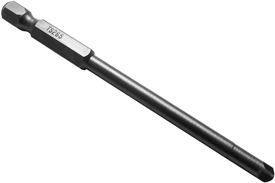 Zephyr Torq-Set tip, 1/4'' hex power shank, #0, 1 1/4'' overall length. Equivalent to Apex 170-0. Zephyr Torq-Set tip, 1/4'' hex power shank, #1/4, 1 1/4'' overall length. Equivalent to Apex 170-1/4b. Zephyr Torq-Set tip, 1/4'' hex power shank, #3/8 bullnose, 1 1/4'' overall length. Equivalent to Apex 170-3/8b. Zephyr Torq-Set tip, 1/4'' hex power shank, #5/16 bullnose, 1 1/4'' overall length. Equivalent to Apex 170-5/16b. Zephyr Torq-Set tip, 1/4'' hex power shank, #1, 1 1/4'' overall length. Equivalent to Apex 170-1. Zephyr Torq-Set tip, 1/4'' hex power shank, #2, 1 1/4'' overall length. Equivalent to Apex 170-2. Zephyr Torq-Set tip, 1/4'' hex power shank, #3, 1 1/4'' overall length. Equivalent to Apex 170-3. Zephyr Torq-Set tip, 1/4'' hex power shank, #4, 1 1/4'' overall length. Equivalent to Apex 170-4. Zephyr Torq-Set tip, 1/4'' hex power shank, #5, 1 1/4'' overall length. Equivalent to Apex 170-5. Zephyr Torq-Set tip, 1/4'' hex power shank, #6, 1 1/4'' overall length. Equivalent to Apex 170-6. Zephyr Torq-Set tip, 1/4'' hex power shank, #8, 1 1/4'' overall length. Equivalent to Apex 170-8. Zephyr Torq-Set tip, 1/4'' hex power shank, #10, 1 1/4'' overall length. Equivalent to Apex 170-10. 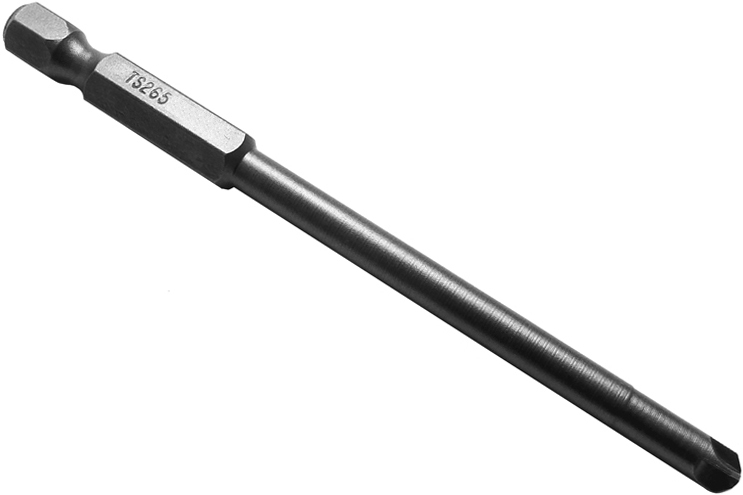 Zephyr Torq-Set tip, 1/4'' hex power shank, #0, 3 1/2'' overall length. Equivalent to Apex 265-0. Zephyr Torq-Set tip, 1/4'' hex power shank, #0, 6'' overall length. Equivalent to Apex 265a-0. Zephyr Torq-Set tip, 1/4'' hex power shank, #1, 3 1/2'' overall length. Equivalent to Apex 265-1. Zephyr Torq-Set tip, 1/4'' hex power shank, #1, 6'' overall length. Equivalent to Apex 265a-1. Zephyr Torq-Set tip, 1/4'' hex power shank, #2, 3 1/2'' overall length. Equivalent to Apex 265-2. Zephyr Torq-Set tip, 1/4'' hex power shank, #2, 6'' overall length. Equivalent to Apex 265a-2. Zephyr Torq-Set tip, 1/4'' hex power shank, #3, 3 1/2'' overall length. Equivalent to Apex 265-3. Zephyr Torq-Set tip, 1/4'' hex power shank, #3, 6'' overall length. Equivalent to Apex 265a-3. Zephyr Torq-Set tip, 1/4'' hex power shank, #4, 3 1/2'' overall length. Equivalent to Apex 265-4. Zephyr Torq-Set tip, 1/4'' hex power shank, #4, 6'' overall length. Equivalent to Apex 265a-4. Zephyr Torq-Set tip, 1/4'' hex power shank, #5, 3 1/2'' overall length. Equivalent to Apex 265-5. Zephyr Torq-Set tip, 1/4'' hex power shank, #5, 6'' overall length. Equivalent to Apex 265a-5. Zephyr Torq-Set tip, 1/4'' hex power shank, #6, 3 1/2'' overall length. Equivalent to Apex 265-6. Zephyr Torq-Set tip, 1/4'' hex power shank, #6, 6'' overall length. Equivalent to Apex 265a-6. Zephyr Torq-Set tip, 1/4'' hex power shank, #8, 3 1/2'' overall length. Equivalent to Apex 265-8. Zephyr Torq-Set tip, 1/4'' hex power shank, #8, 6'' overall length. Equivalent to Apex 265a-8. Zephyr Torq-Set tip, 1/4'' hex power shank, #10, 3 1/2'' overall length. Equivalent to Apex 265-10. Zephyr Torq-Set tip, 1/4'' hex power shank, #10, 6'' overall length. Equivalent to Apex 265a-10. The TS265-5-6 Zephyr 1/4'' Torq-Set #5 Power Drive Bits is one of thousands of quality tooling products available from MRO Tools. Please browse Zephyr Torq-Set Power Drive Bits for tools similar to the TS265-5-6 Zephyr 1/4'' Torq-Set #5 Power Drive Bits. TS265-5-6 Zephyr 1/4'' Torq-Set #5 Power Drive Bits description summary: Zephyr Torq-Set tip, 1/4'' hex power shank, #5, 6'' overall length. Equivalent to Apex 265a-5. Quantity discounts may be available for the TS265-5-6 Zephyr 1/4'' Torq-Set #5 Power Drive Bits. Please contact MRO Tools for details.